How Do You Preach the Gospel and Breastfeed? I pulled into the McDonalds parking lot with my 5-month old son Oswald crying in the backseat because he was hungry. On a cold November afternoon I was driving to Detroit to help the InterVarsity chapter Oakland University chapter with an evangelistic outreach. A colleague Nicole who had flown in from California was traveling with me to see an example of a female evangelist with a family and I was grateful for her company to give Ozzy his pacifier if it fell out and have someone to talk with on the three-hour drive from Cleveland…. To continue reading this post check it out at Jenny Rae Armstrong’s blog who graciously invited me to guest post! 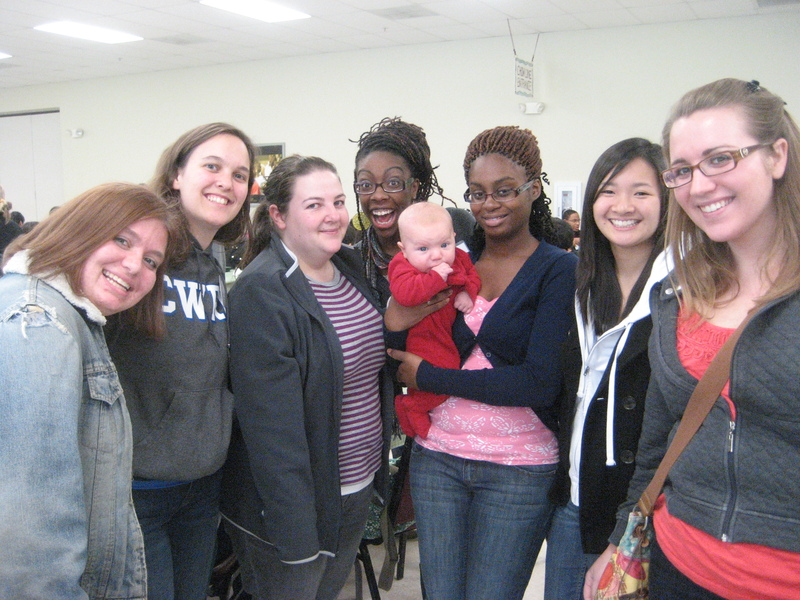 Students loving on Ozzy at an InterVarsity conference last fall. I would break every three hours to feed him and then go back to the sessions to teach and lead a small group of freshman seeking to grow their faith in Jesus. ← Twenty minutes alone feels like…..